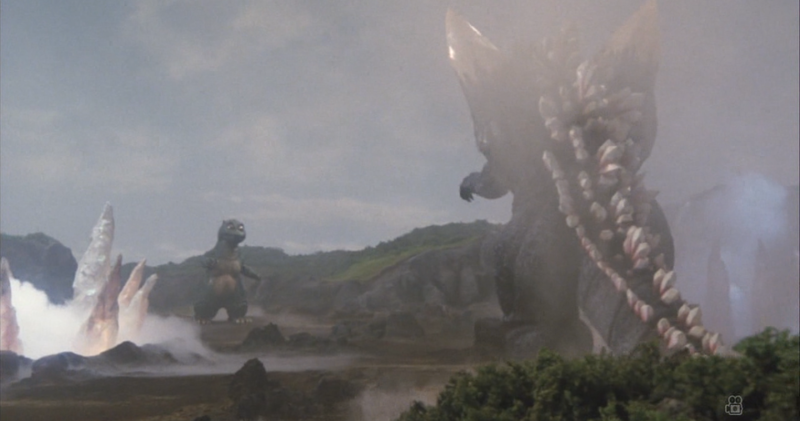 GODZILLA VS. SPACEGODZILLA has the distinct advantage of having three of my favorite favorite designs with MOGERA, SpaceGodzilla, and Baby Godzilla. This is definitely indicative of the entire movie's design work. Everything seems to just pop visually. 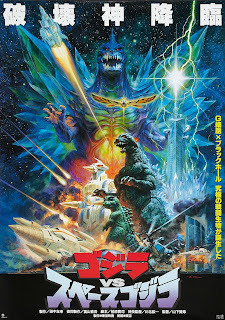 From the poster, which you can see above and is probably my favorite, the amazing set design, to the aforementioned creatures makes this movie stand out among the Heisi era and even the entire series. Much like its predecessor, the biggest issues with the movie are numerous frivolous plot points that don't have any sort of emotional pay off. 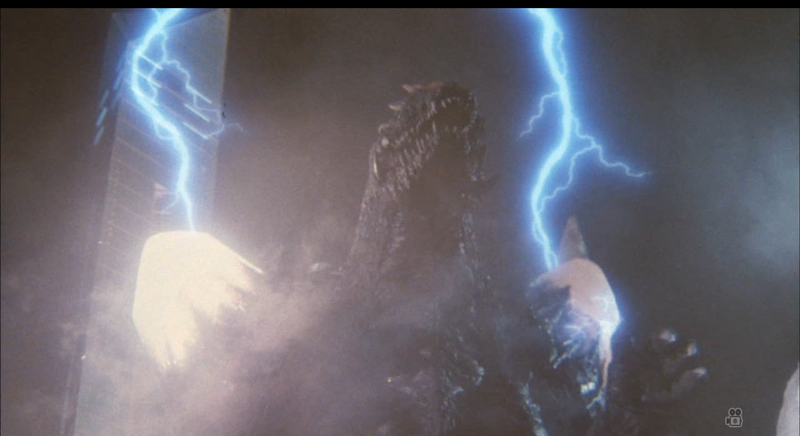 At the beginning of the movie we are treated to the creation of the newest U.G.N.C.C. weapon M.O.G.E.R.A. (Mobile Operation Godzilla Expert Robot Aero-type) which is composed of two parts, the torso which is actually called the Star Falcon and is similar to the Garuda ship from the previous movie. The lower part is called the Land Mogera, which is a tank. 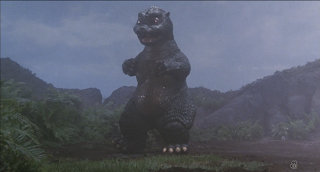 They both combine to form the bigger robot which looks like a huge mole with drills for its nose and arms. 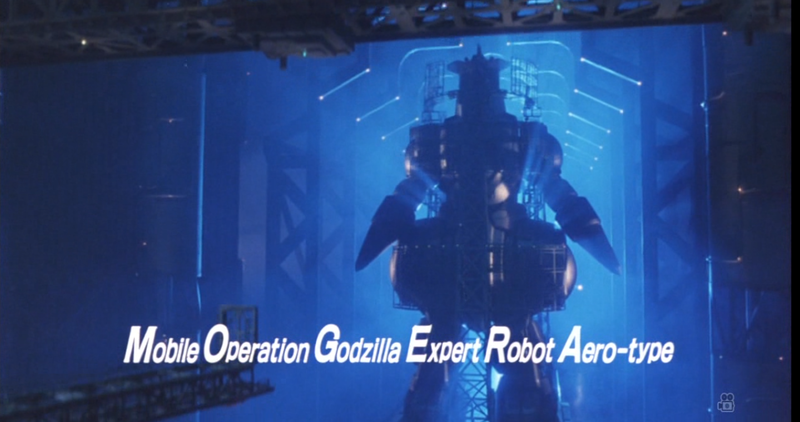 This is supposed to be an improvement over the failed MechaGodzilla project and has outer space travel capabilities. 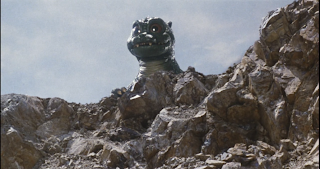 In the meanwhile over at the Psychich Center, Miki Saegusa, who is now a director in the Center's Psychic division, is tapped to helm the the T-Project which means to control Godzilla as a peaceful way of stopping the creature. The parallels to various political ideologies is very interesting and a little too on the nose. There's those that think that you can only fight a superior enemy with more weapons, the "eye for an eye" technique if you will, or those who think through more peaceful avenues such as negotiations and treaties. In the end, the message doesn't really seem to be too clear in terms of favoring one side or the other. It seems that Godzilla has been living on a place called Birth Island with Baby who has now grown to be the the most adorable thing in the history of ever. 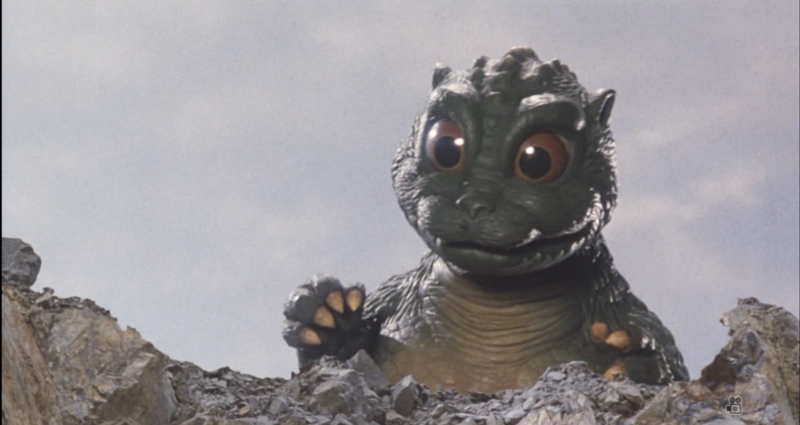 Baby has inexplicably grown to be huge way beyond the size of what it seems a normal Godzillasaurus would be. 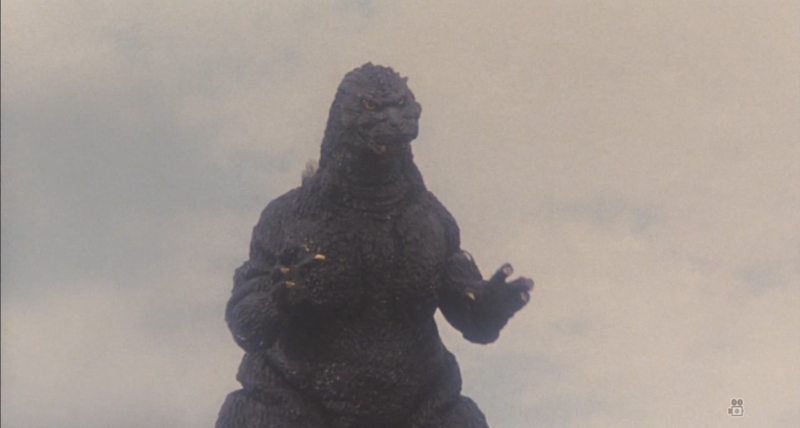 This isn't explained the movie, but that's fine. The humans in this movie are actually a small cast of instantly recognizable movie action movie tropes. You have Yuki who we meet in the Birth Island, and he's got it out for Godzilla for killing his best friend and is a grizzled veteran. Koji is the stereotypical male lead with a rough exterior and a heart of gold. Kiyo is his goofy sidekick. Of course, we have Miki is the female romantic lead and the closest thing you could say is a protagonist. Then Dr. Chinatsu Gondo is the brainy one, Velma type of character, and finally Dr. Susumu Okuo is the morally ambiguous science type of character. Together all of these character keep the momentum of the story relatively fast paced. 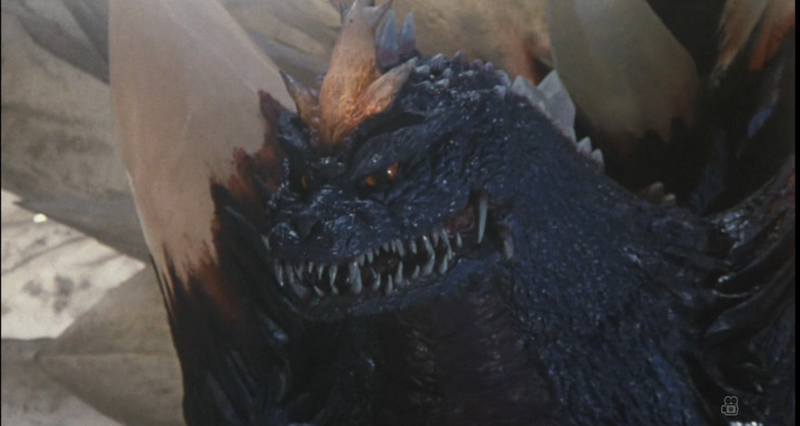 The only problem is that there is a strange plot where where Dr. Okuo is actually trying to corrupt the T-project by taking control of Godzilla on his own. This is yet another example of a plot point that leads nowhere. The only plausible explanation is maybe to exemplify the naivete of a the "peaceful approach" to solving conflicts. 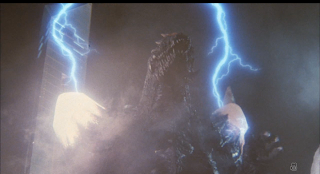 The entire movie actually manages to have some very impressive set pieces, and it takes the best settings from the franchise which helps give the movie a bigger scope. The first battle occurs in space between MOGERA and Spacegodzilla and features the first lengthy outer space sequence we've seen. 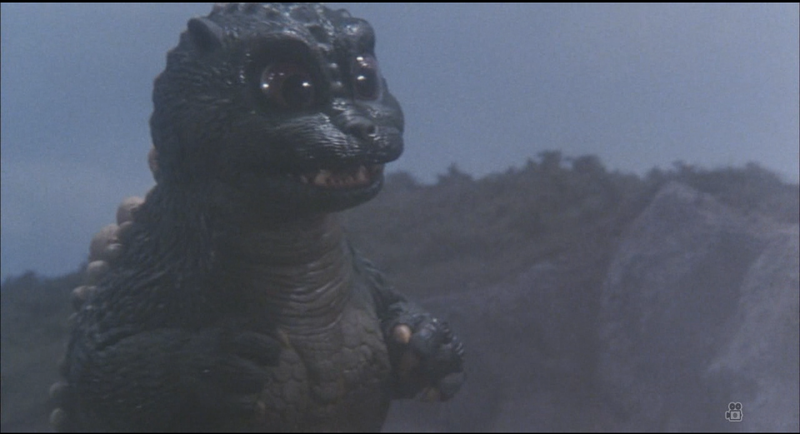 Then, Spacegodzilla, Baby, and Godzilla all fight on Birth Island, giving us a call back to unofficial "island" trilogy from the Showa era. Then, the climactic battle which takes places in Fukuoka is amazing to behold. The city set starts out a normal town, and then thanks to SpaceGodzilla, it becomes a crystal fortress and a complete wasteland. The movie's plot, much like the last movie has a tendency of being bogged down a lot on the human side which keeps this movie from being great. After the initial battle between all of the Godzillas, Miki stays on the island to help the lizards out. Even though Koji and Kiyo stay behind, she is kidnapped by Dr. Okuo, who apparently is working for the Japanese Mafia. Because sure, why not? 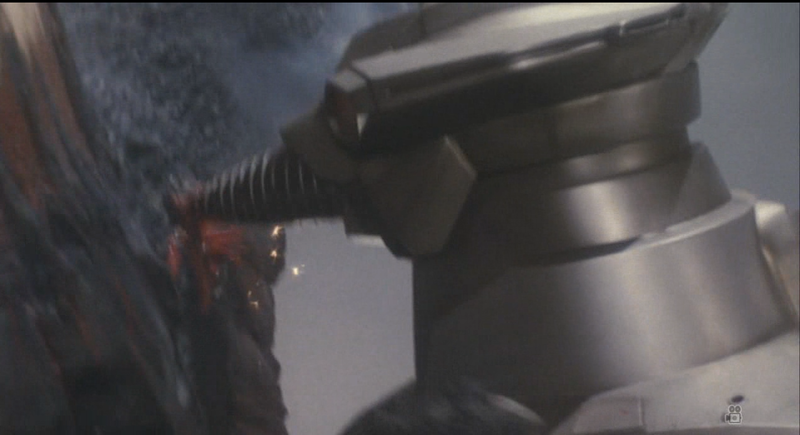 While we have some really fun action scenes, it ultimately leads nowhere. Dr. Okuo dies at the end and we just spent 15 minutes justifying the main trio leaving Birth Island to Japan. 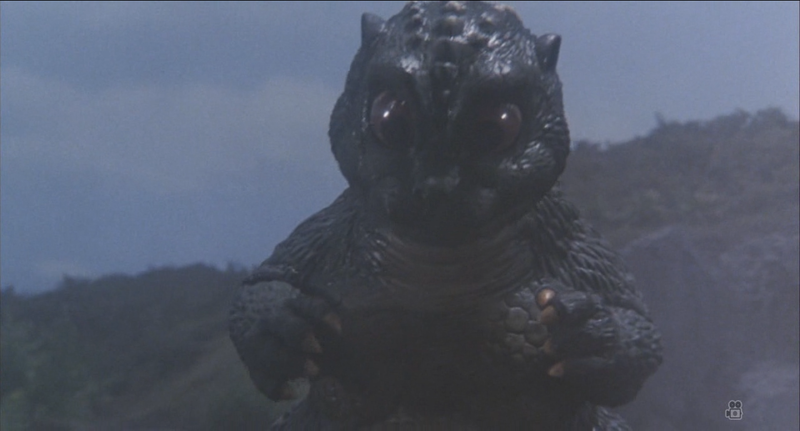 GODZILLA VS. SPACEGODZILLA is actually a film that's most similar to the Showa era (island setting, a baby Godzilla, a space monster) movies in this new continuity. It ends up being a little bit more fun than the previous movies, but it can get bogged with a very unnecessary second act. Still, the designs of both the characters and the great battle sequences make this a fun movie to watch and revisit.